Good evening, Steve Sanson President of Veterans In Politics International. Two weeks ago I was at this podium and spoke about Trustee Wright’s trip to Disney World at tax payer’s expense. Not one thing has happened since not even requiring Trustee Wright reimburse the taxpayers back for the money they spent on her vacation. I filed a complaint with the Nevada Ethics Commission. A little later in the meeting, when ratification of the agreement with the teachers’ union came up. Wright was right here by phone. 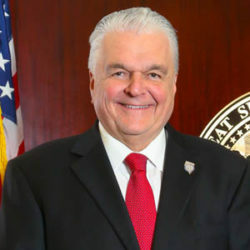 In the span of maybe one minute, Wright flagrantly violated the ethics laws of the state of Nevada. Wright’s husband is a teacher and covered under the teacher’s contract. Both Mr. and Mrs. Wright participate in the Teacher’s Health Trust. Thus the passage of the contract was a financial benefit to both of them. 1. Wright discloses her interest. 2. 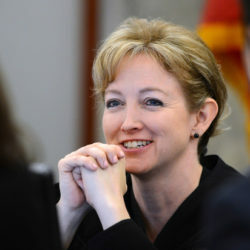 Wright refrains from advocating for or against passage of the item. 3. Wright abstains from voting. 1. Wright did not disclose her interest on the item. 2. Wright advocated for passage of the item. 3. Wright voted for the item. If the elected Trustees cannot abide by the ethics laws, how can we expect any CCSD employee to do the same? There are currently two separate lawsuits against Wright’s husband for allegedly injuring two students on school property. Why is Wright’s husband still in the classroom? Is the newly appointed Superintendent playing politics, like the last superintendent? Wright needs to step down or we will be forced to recall her!